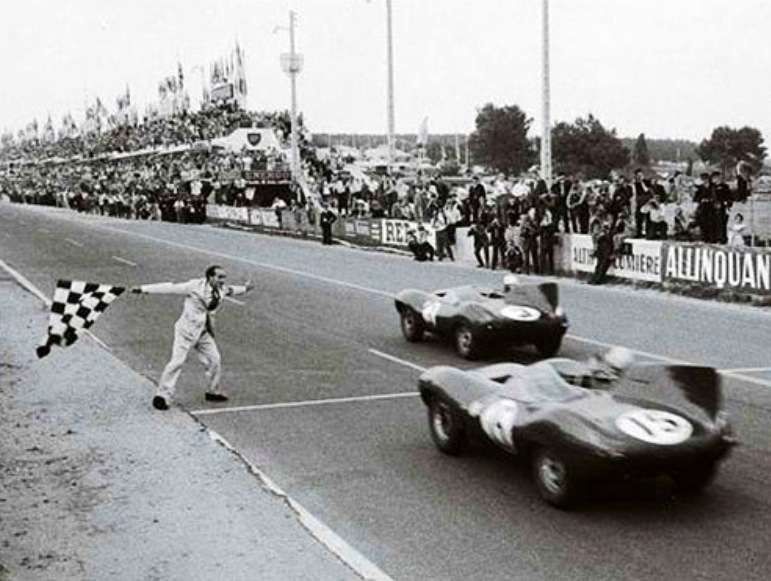 The winning car covered 4397 Km, an average speed of 183kmh, a record which remained unbroken for four years. 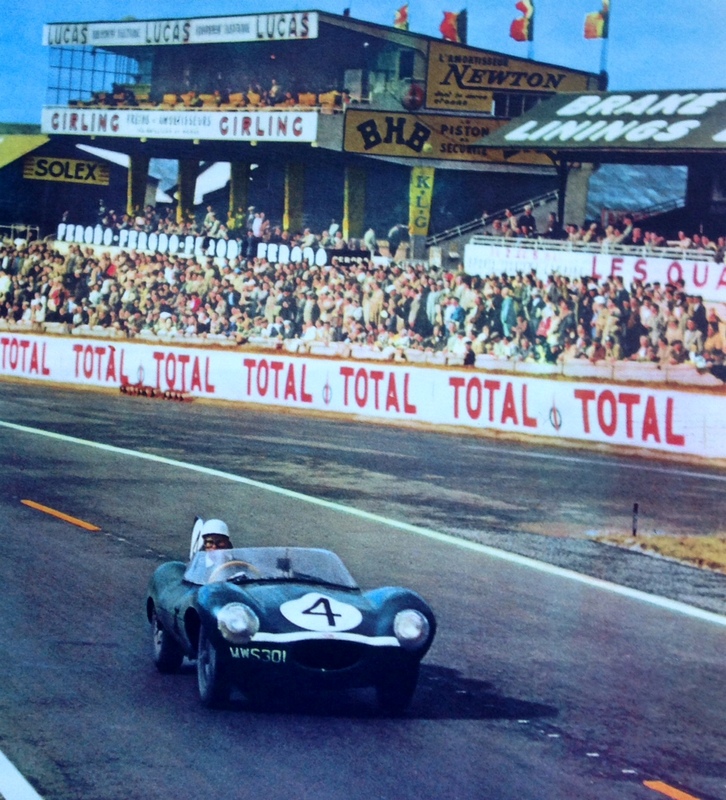 D Types also finished in second, third, fourth and sixth places, an unparalleled result to that time. 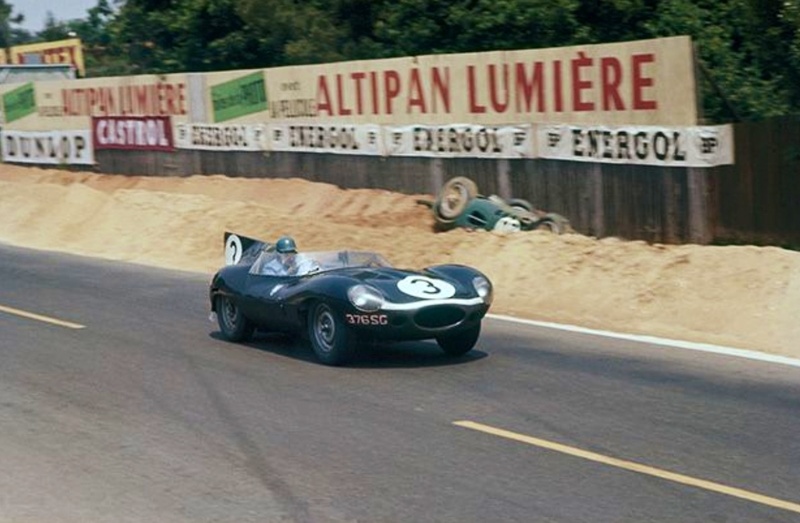 Ninian Sanderson and John Lawrence were second, Jean Lucas/ Jean-Marie Brussin third, Paul Frere/’Freddy’ Rouselle fourth and Mike Hawthorn/Masten Gregory sixth. 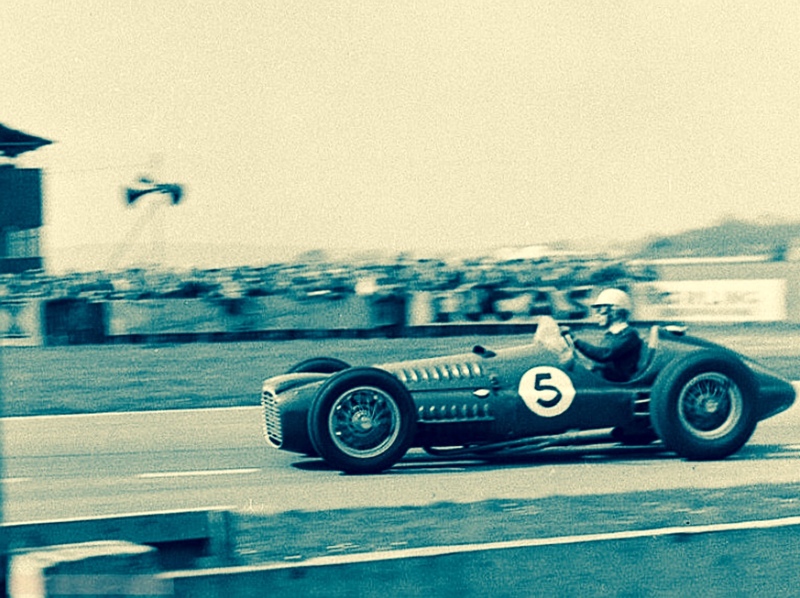 Flockhart also won the race in 1956 partnered with Ninian Sanderson. 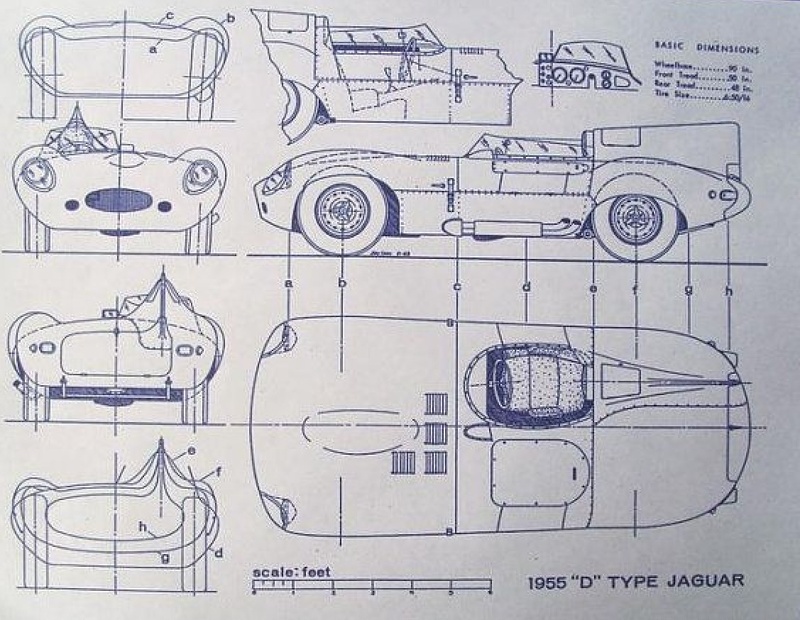 The car on its back is the Tony Brooks/Noel Cunningham-Reid Aston Martin DBR1 300. 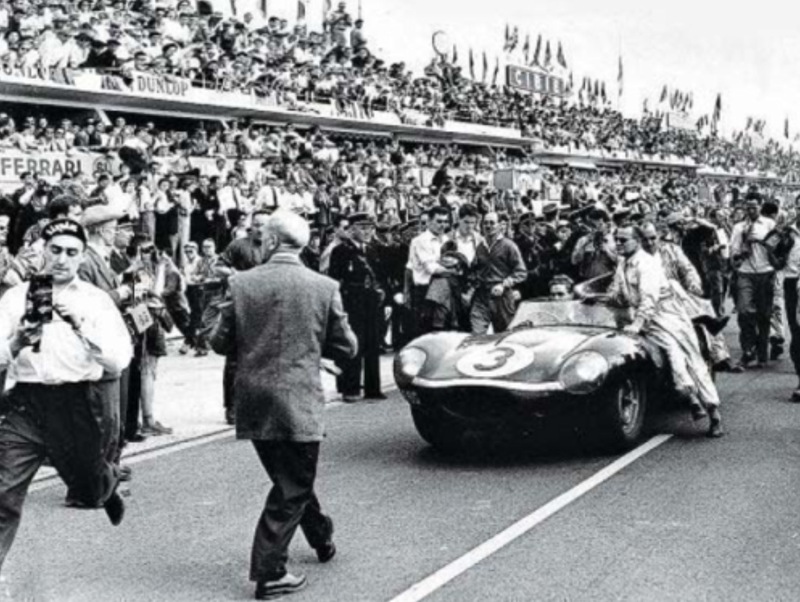 Brooks ran wide on the exit of Tertre Rouge, rolled and was hit by Umberto Magliolis’ Porsche, the cars running second and seventh respectively at the time. Both drivers escaped without serious harm. 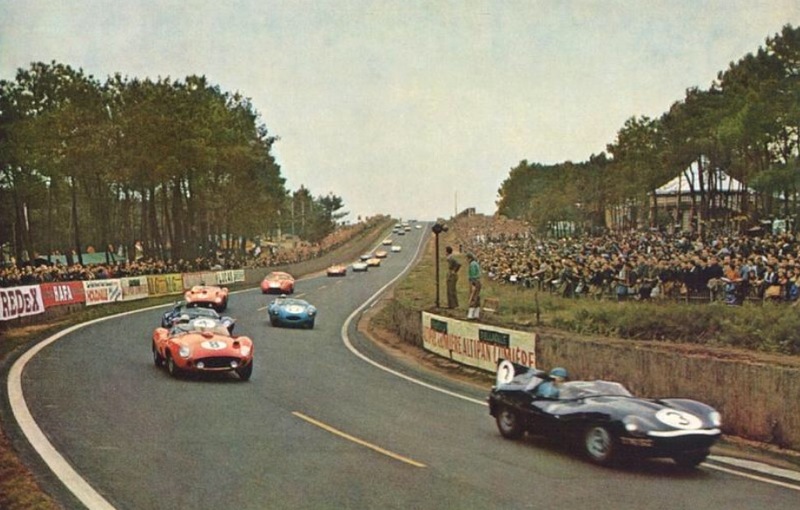 The incident happened in the twelfth hour of the race. The summary technical specifications of the ‘XKD’ were included in this earlier post on its close brother the ‘XKSS’. 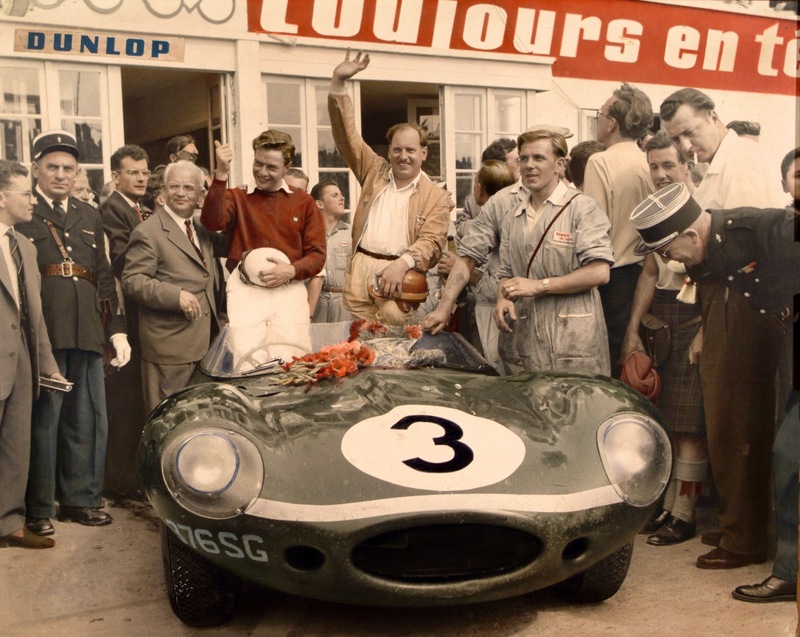 The winning car was ‘XKD606’ the last long nosed 1956 works car built, unraced that year as Desmond Titterington crashed it in Le Mans practice. 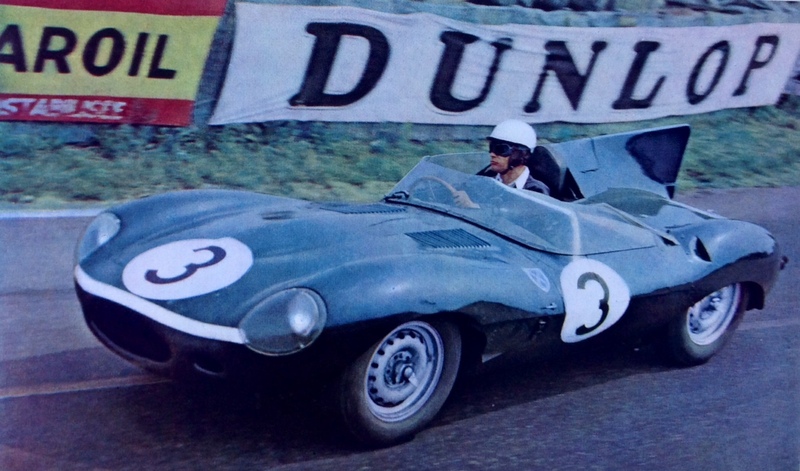 Jag withdrew as a factory team from racing at the end of ’56, ‘606’ was delivered to Ecosse in November 1956 and was successful in ’57 with a 3.8 litre fuel injected engine at Le Mans with plenty of works support. This engine gave circa 306bhp@5500rpm and 312lb ft of torque@4500rpm. 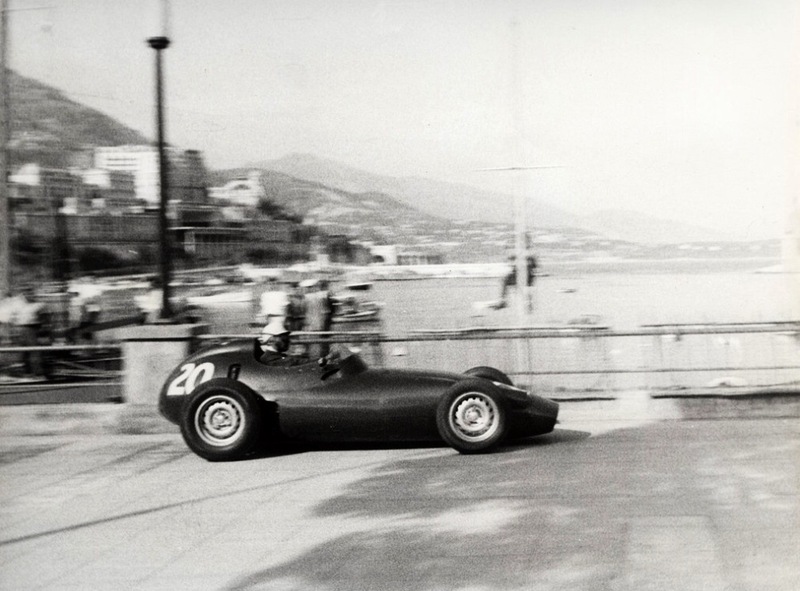 The car was raced at Buenos Aires later in 1957 by Flockhart and Galvez, but crashed by Flockhart and rebuilt with a new chassis and bonnet. 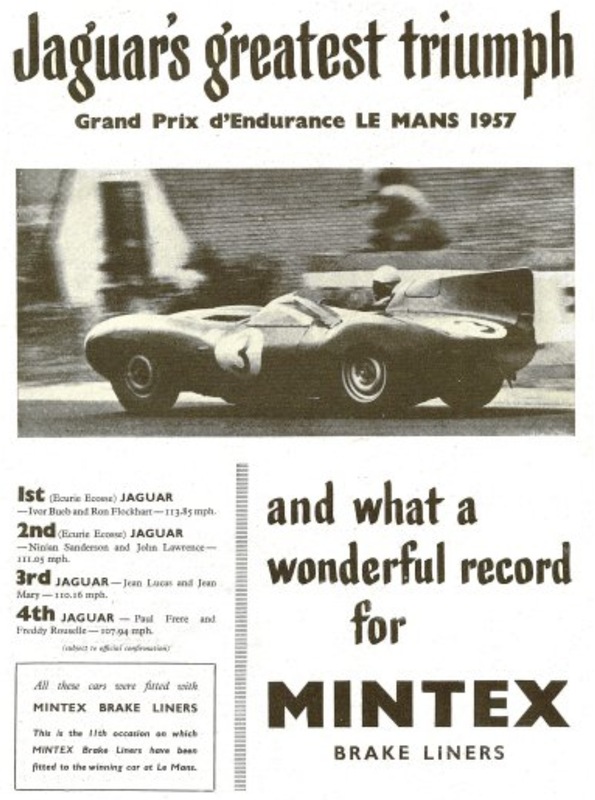 ‘606’ remained in Ecosse’ hands in 1958-1960, raced again at Le Mans by Flockhart and Bruce Halford in 196o, it failed to finish. 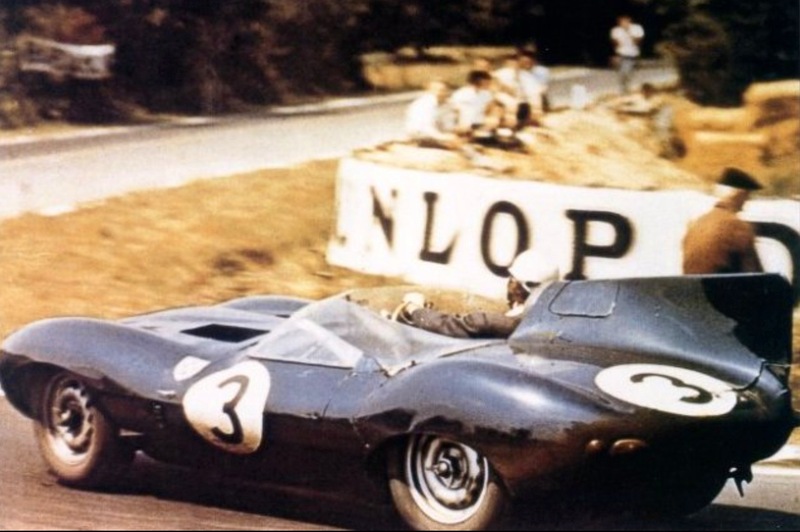 The car raced on into 1961 in the hands of privateer Jack Wober and was split into two after a crash; the body and rear suspension, and front subframe and engine. 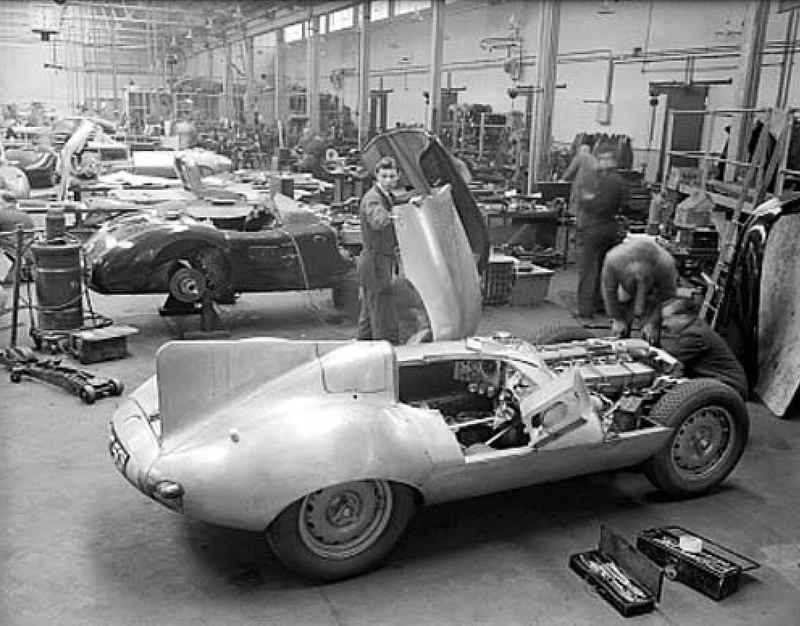 Both halves were then completed with replica parts creating two ‘original’ cars. The Louman Museum in The Hague acquired both cars in 1994, the ‘XKD606’ being recreated by repair and uniting its original components. It is used frequently in historic events. 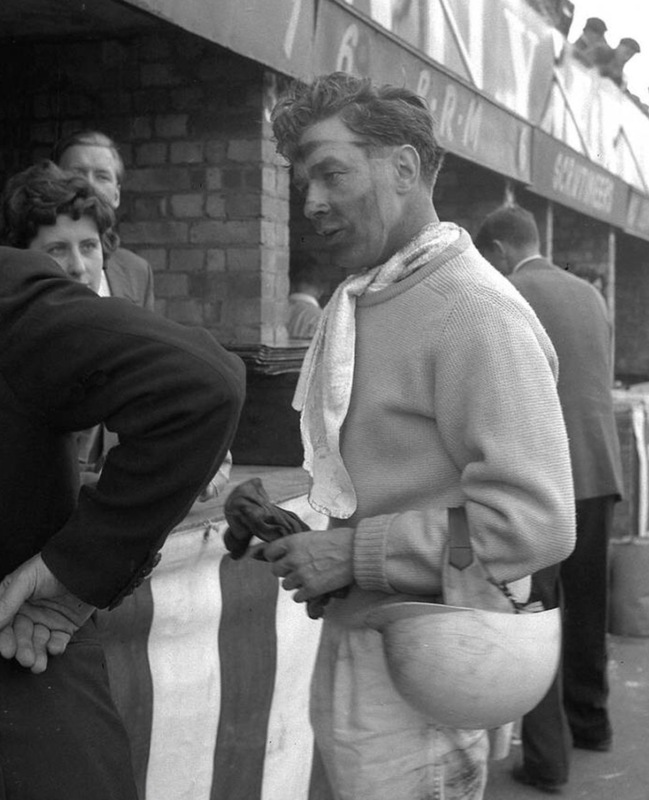 Flockhart began racing motor bikes in Italy and the Middle East after the War before being de-mobbed by the British Army, having served in WW2. 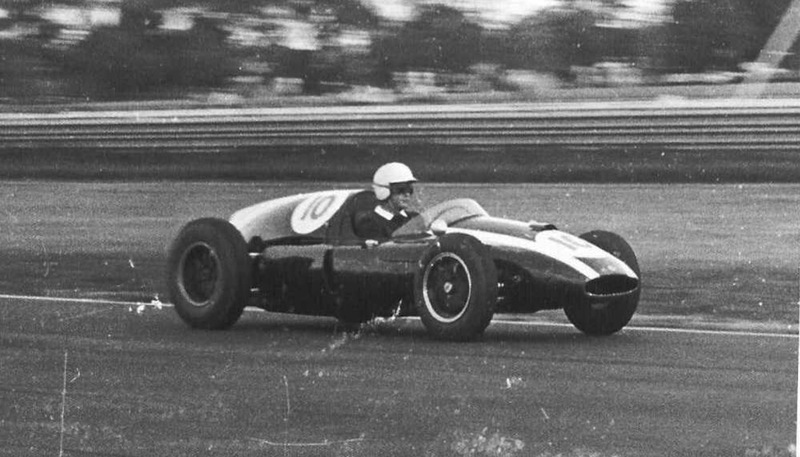 He began racing cars in the the ex-Raymond Mays ERA R4D in 1952, progressed to a Connaught and was picked up by the Owen Organisation where he was essentially their ‘third driver’, he raced in fourteen championship Grands Prix between 1954 and 1960, the last a Cooper T51 Climax in the US Grand Prix at Sebring. 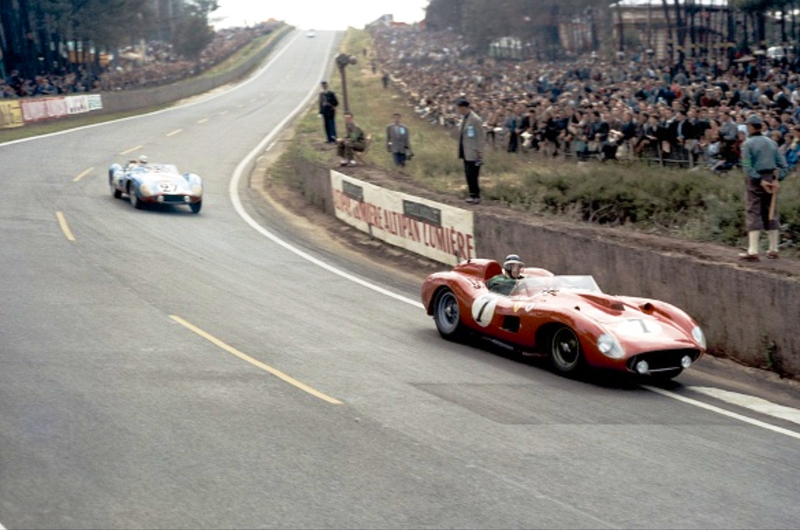 He was very competitive in sports cars, including the two victories at Le Mans. 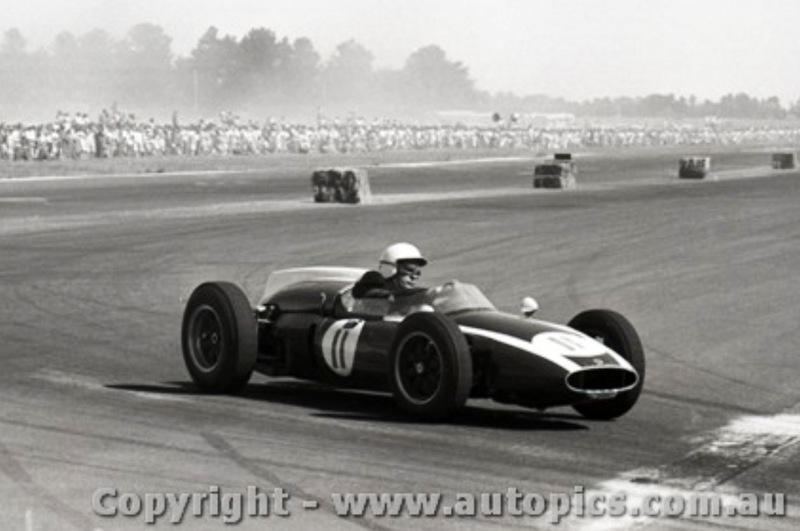 Like many drivers of the period Ron Flockhart was a pilot and flew to and from the circuits of Europe more quickly than commercial airline or car travel allowed. He flew an Auster for a long time to places such as Folkingham, Snetterton and Silverstone whilst testing for BRM in the UK and introduced Jack Brabham to light aircraft. His racing injuries restricted his activities somewhat, his love of flying and passion for speed lead him to decide to attempt the Sydney-London record for petrol powered planes. 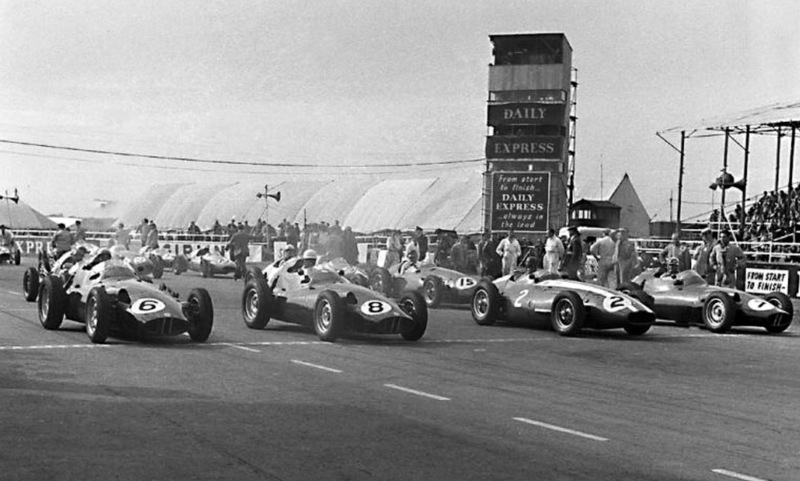 The attempt was backed by ‘United Dominions Trust ‘ who wanted publicity for their racing team ‘UDT Laystall’, a noted team of the period. 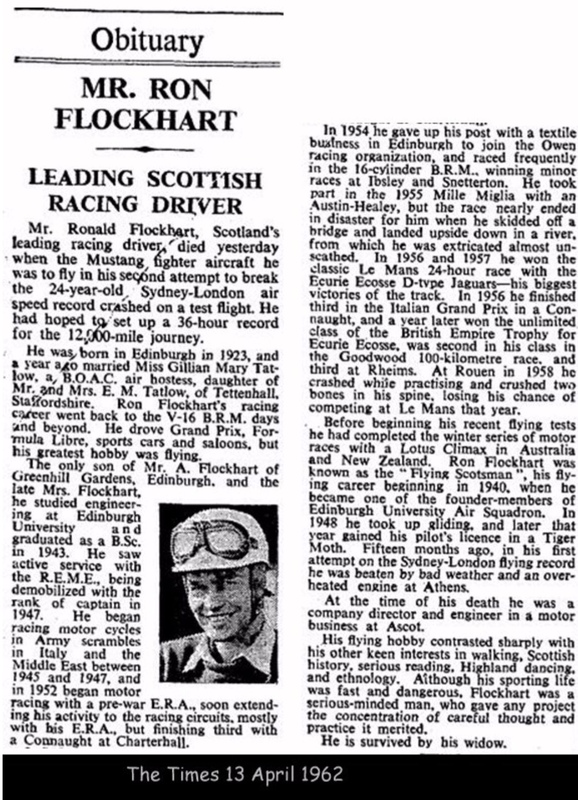 His first attempt in 1961 fell 1500 miles short of London when his Mustang suffered serious engine failure, rain having seeped into the engine whilst on the ground in Greece, Flockhart enjoying ‘Rock-star’ fame and attention in Australia before and during the attempts. The first plane was written off after suffering a cockpit fire before take-off. 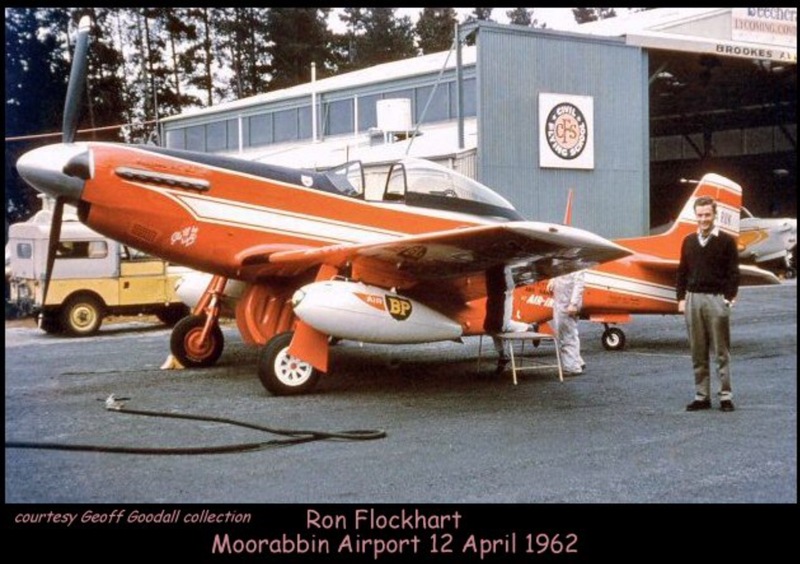 Ron competed in New Zealand and Australia that summer before setting off for London in a second ex-RAAF Commonwealth Aircraft Corporation built Mustang ‘G-ARUK’ on 12 April 1962. He left Moorabbin Airport in Melbournes’ southern outer suburbs enroute to Sydney where he was heading to have additional fuel tanks fitted. The Mustang had only been in the air 10 minutes, heading east over the Dandenong Ranges when he radioed in to report ‘I’ve got trouble. I’ve lost my compass, i’m at 3000ft and in heavy cloud’, immediately after this, contact with the plane was lost, the aircraft crashed into bush on the Monbulk hillside in thick cloud and light misty rain. Flockhart was still in the aircrafts debris which was spread around the crash site, strapped to the remains of his seat with his parachute attached.